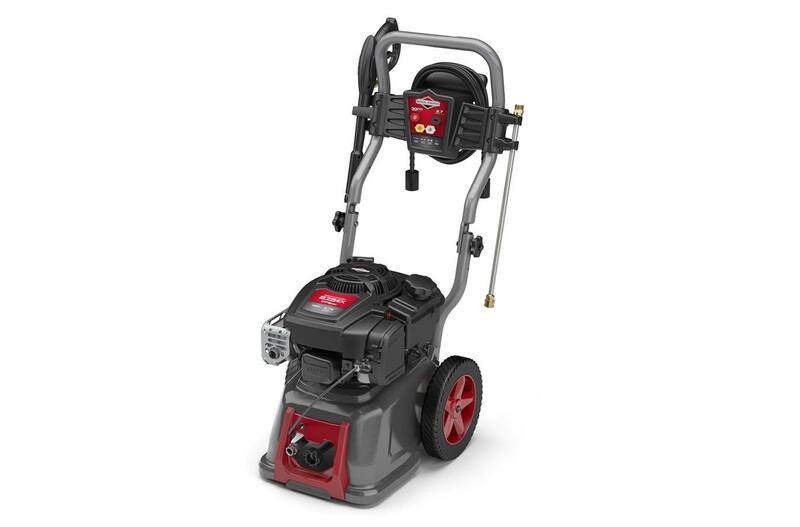 Briggs & Stratton 875EX Professional Series™ OHV Engine (190 cc): This engine combines professional-grade power and performance with easy-to-use features homeowners want: strong, quiet and durable. Quiet Sense™ Automatic Throttle Control: Up to 40% quieter*** when the spray gun trigger is released. Maintenance Free Axial Cam Pump with Easy Start™ Technology: This pump is specially designed for high-performance, high-pressure output and easy, low-effort starting. ReadyStart® Starting System: No priming. No choking. Just start it and start cleaning.